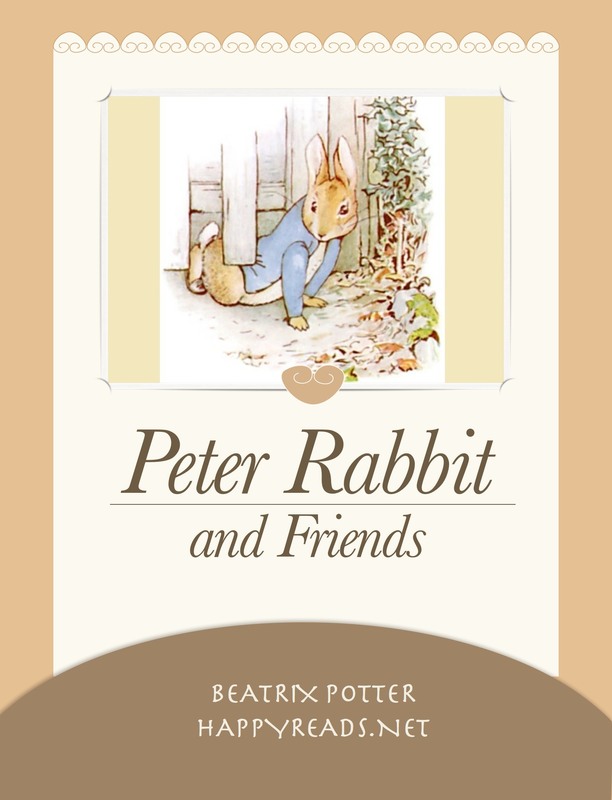 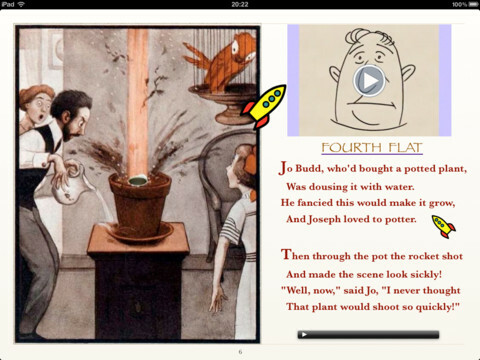 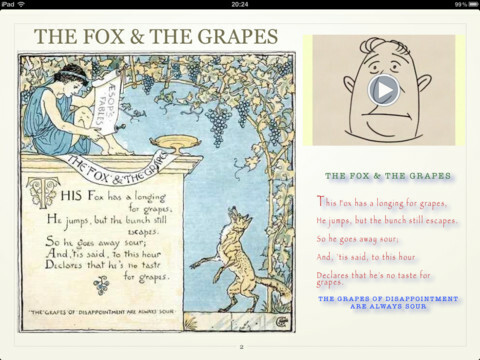 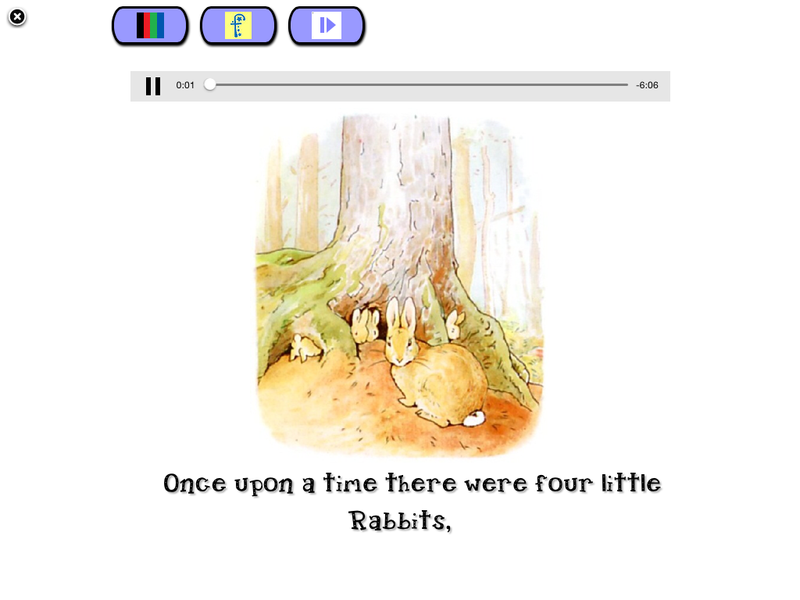 An enhanced audio-ebook version with audio narrations of Peter Rabbit and Friends is also available. 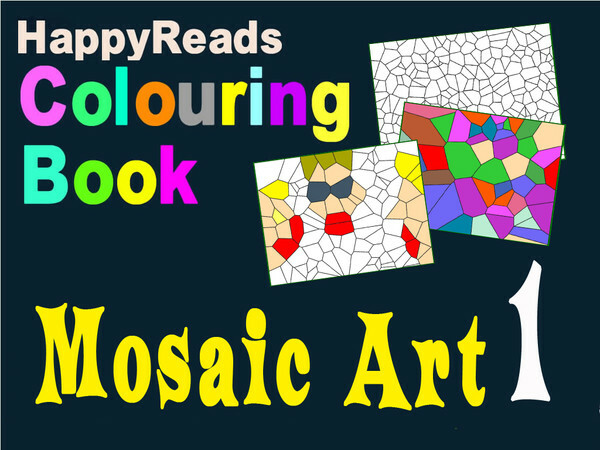 This book consists of 50 Mosaic Art pages which fall into in 5 categories – 300, 350, 400, 450 and 500 tiles. 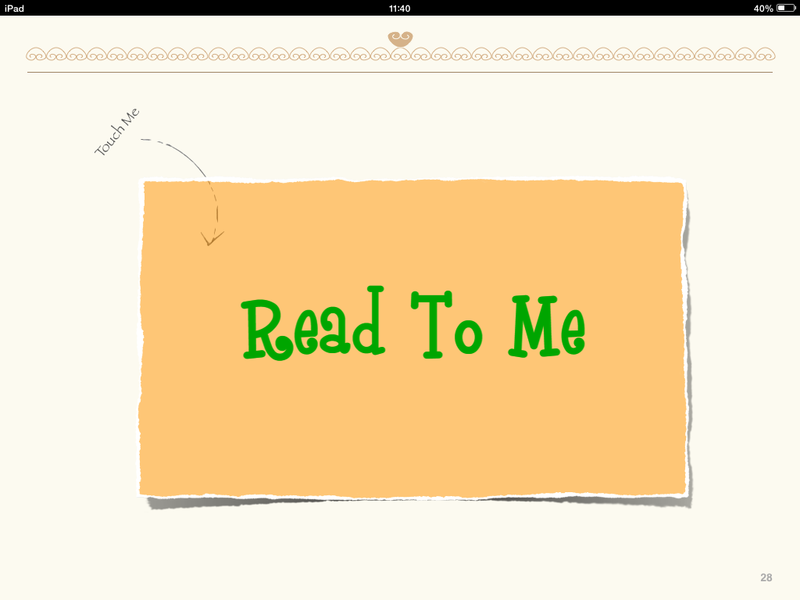 Each category contains 10 pages. 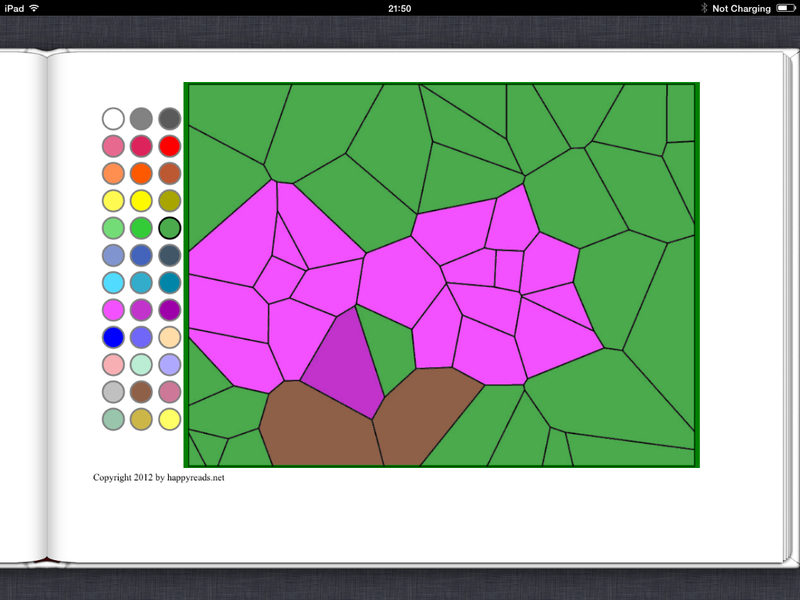 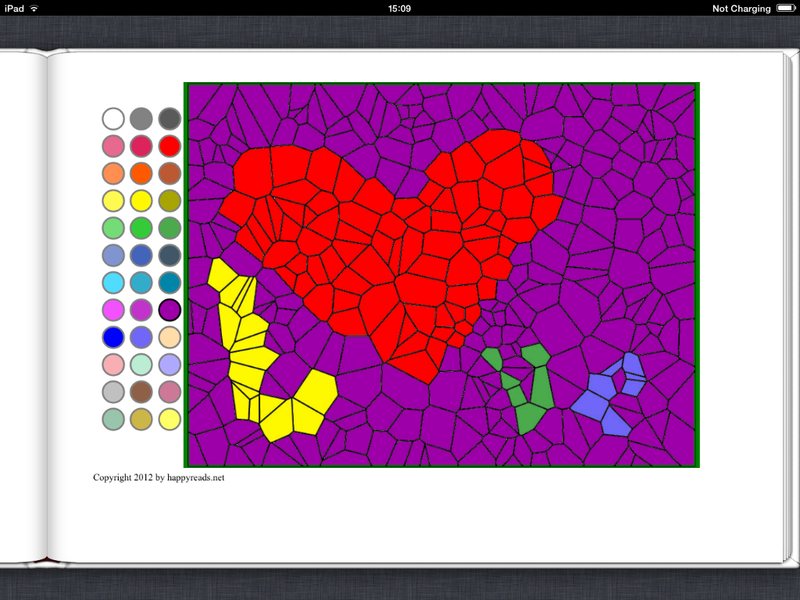 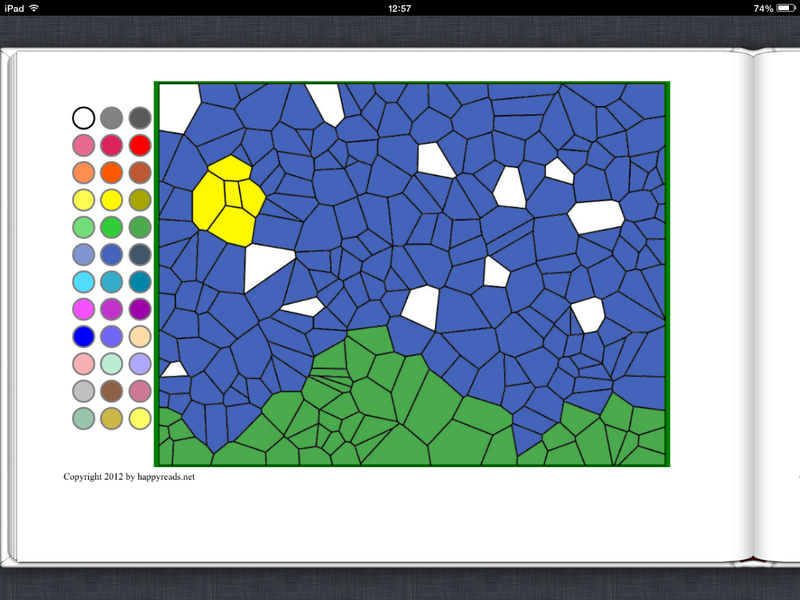 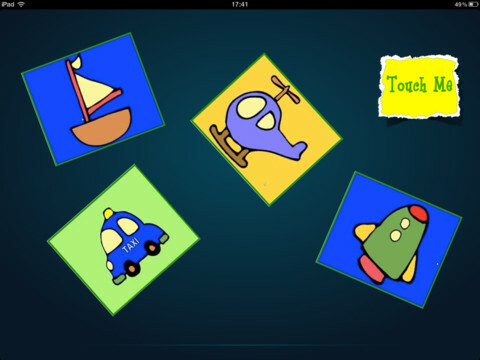 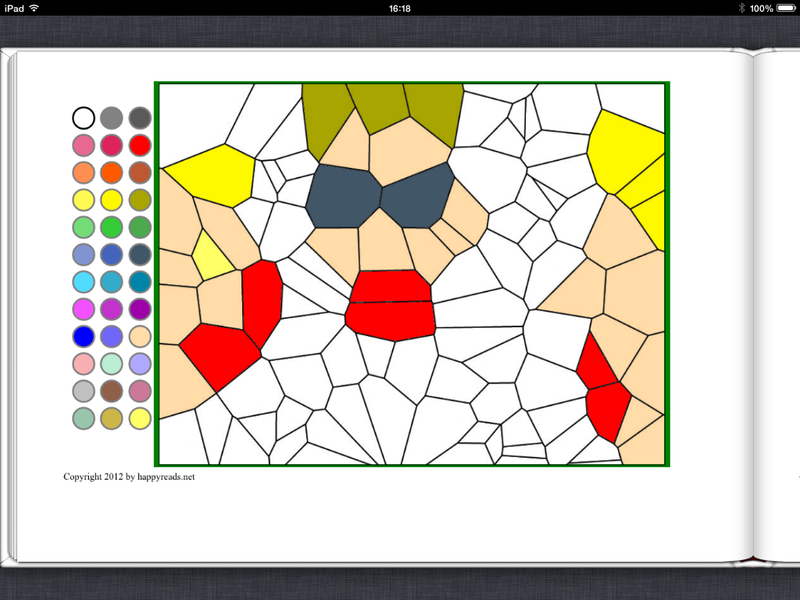 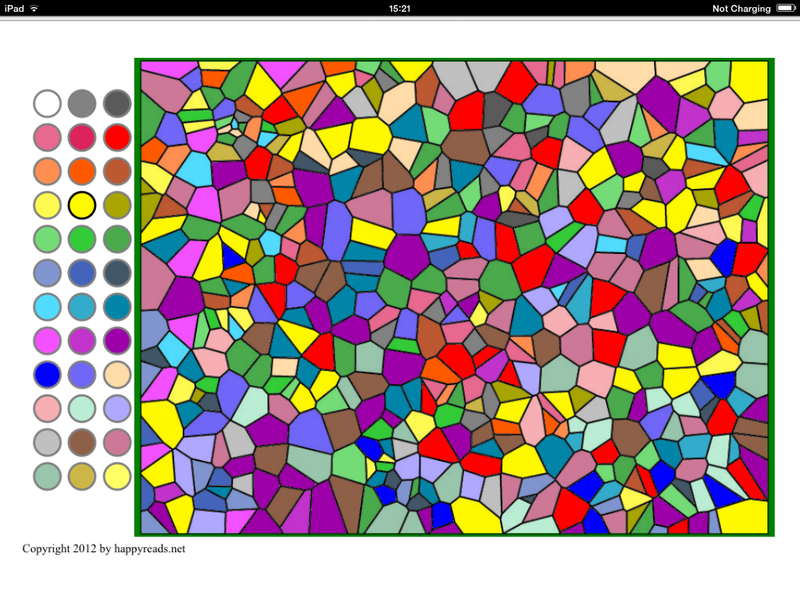 You may color the tiles to make pictures for your friends to guess or name; also you could capture the screenshots of your masterpieces and let them become wallpapers of your iOS devices. 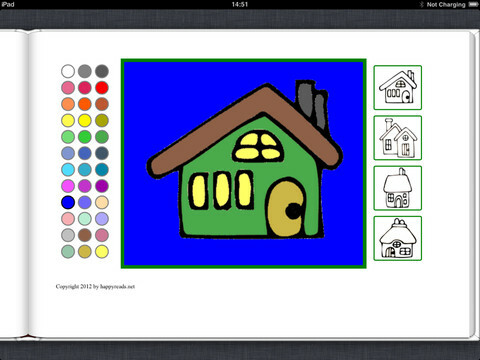 When you completed a picture, capture the screen and then open your Photos application to edit, if necessary, and share with your friends. 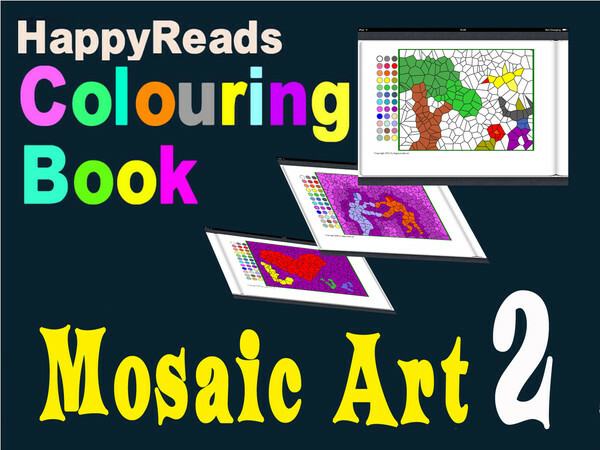 This book consists of 50 Mosaic Art pages which fall into in 5 categories – 50, 100, 150, 200 and 250 tiles. 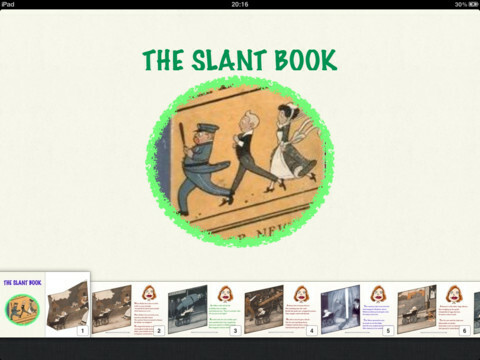 Each category contains 10 pages. 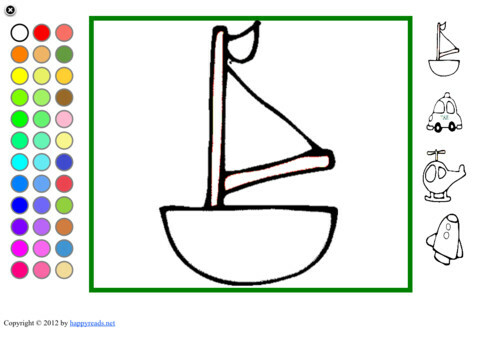 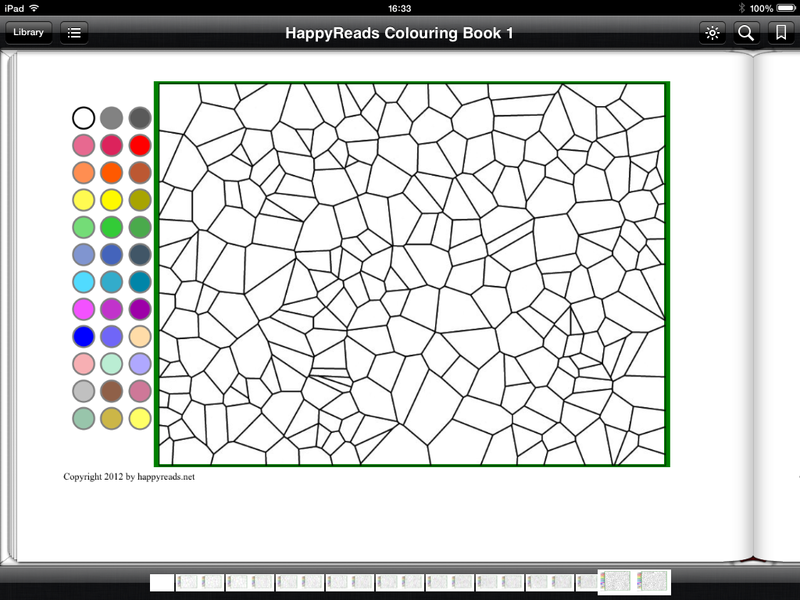 Similiar to My Little Coloring Book, this book provides the same ninety-nine images to color. 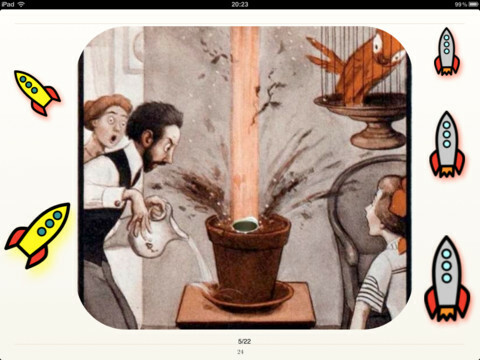 But this book is also available to iPhone and iPod Touch. 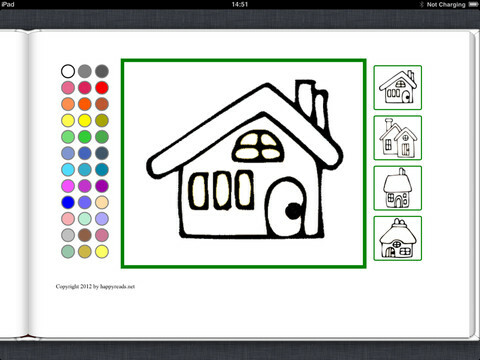 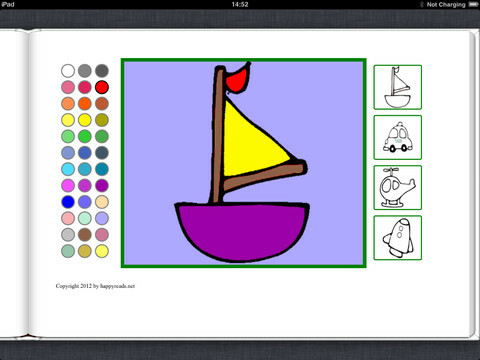 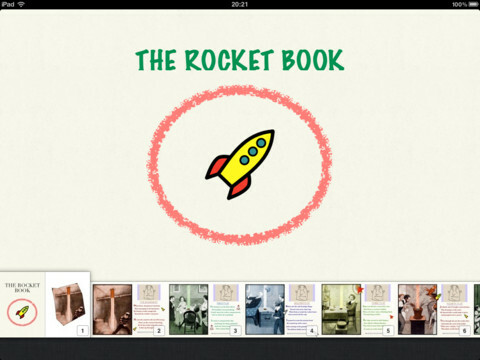 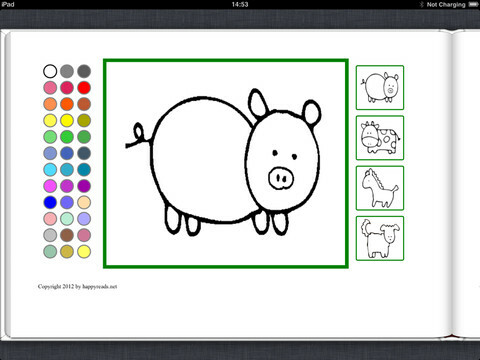 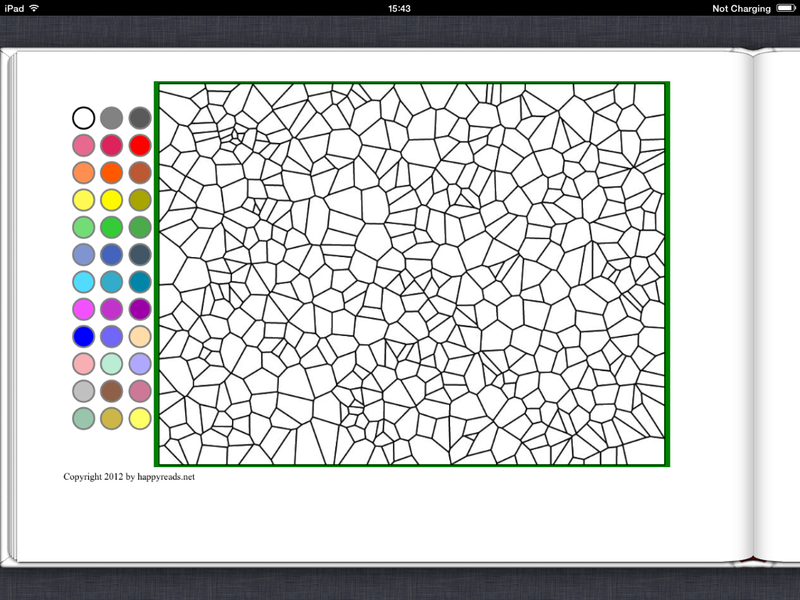 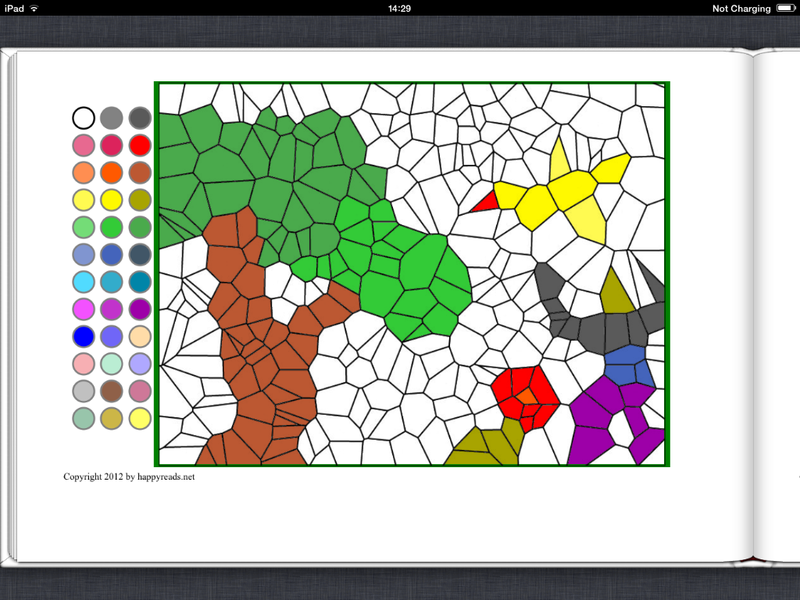 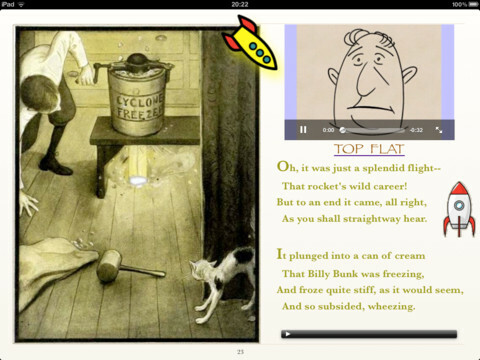 Touch to color on your iPad, iPad mini, iPhone and iPod Touch with this interactive colouring book! 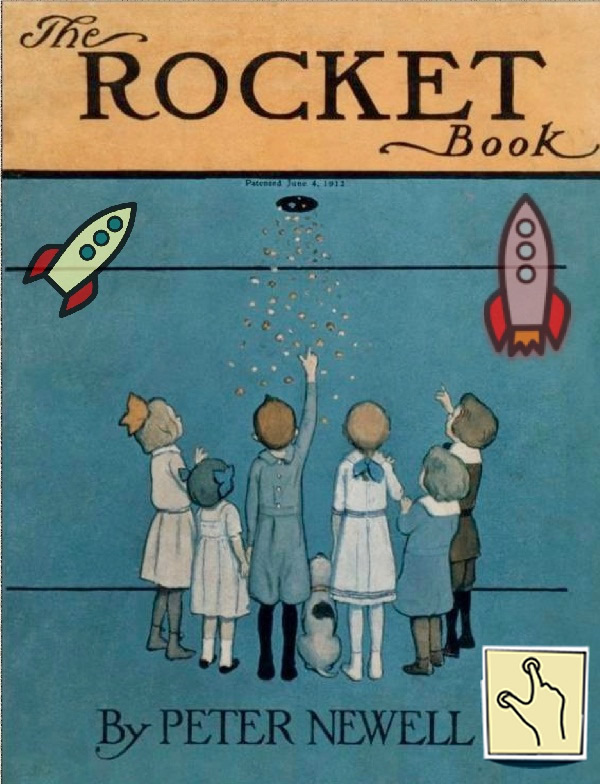 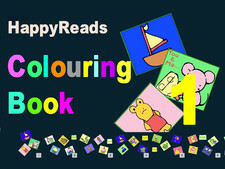 Truly fun for all age, this interactive colouring book contains ninety-nine images to colour. 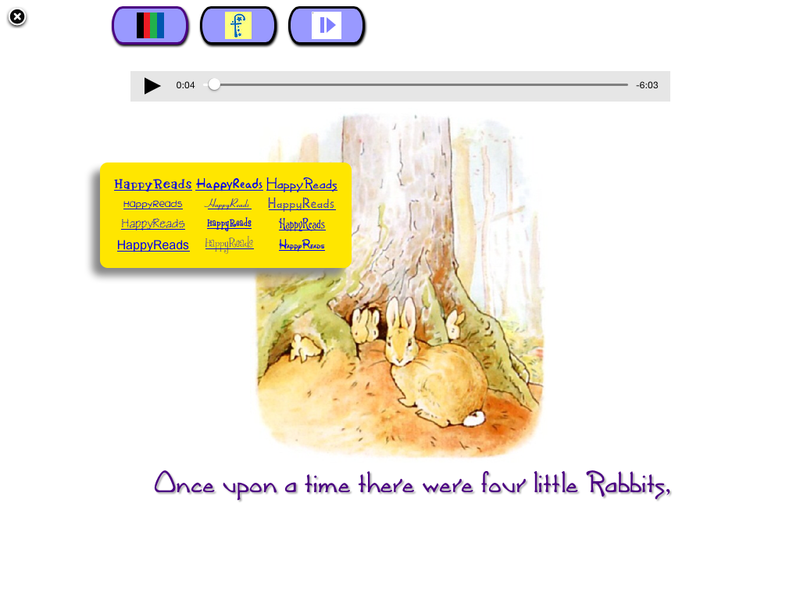 Fun and interactive! 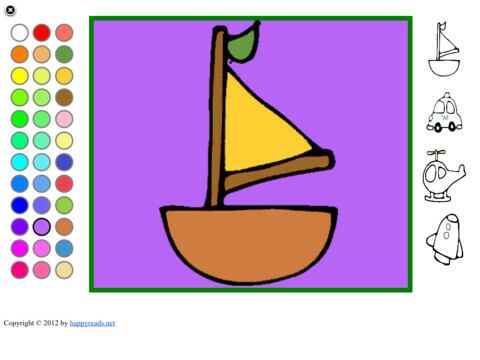 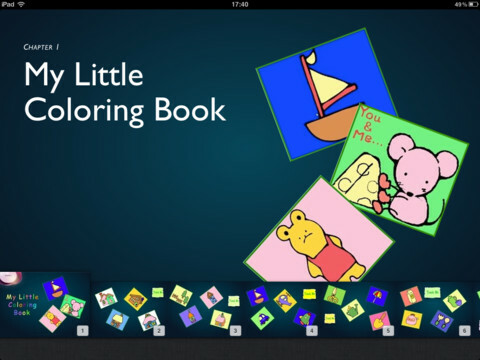 Touch to color on your tablet with this interactive coloring book! 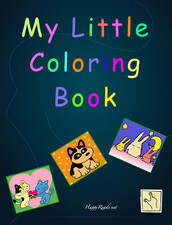 Truly fun for all age, this interactive coloring book contains twenty-seven pages and ninety-nine images to color. 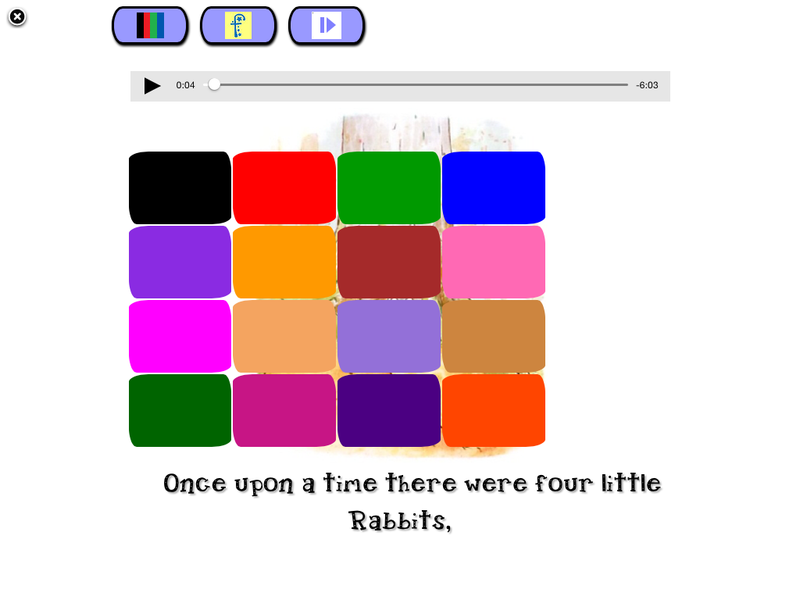 Fun and interactive! 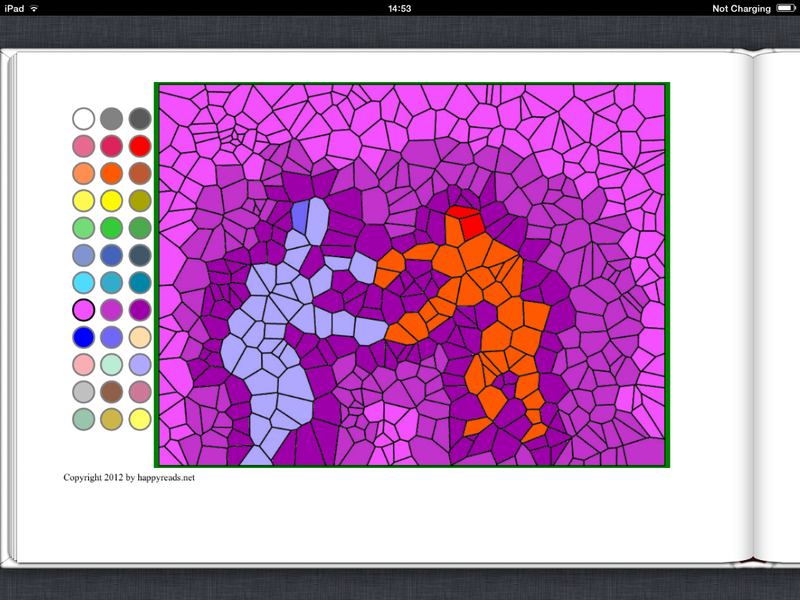 This is a Multi-Touch edition. 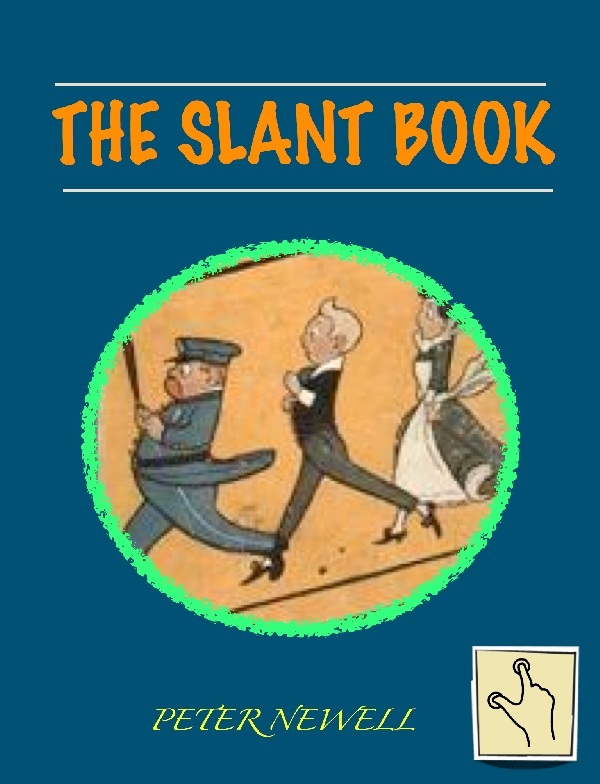 The Slant Book The Slant Book is literally the shape of a parallelogram, with the spine of the book running down one side. 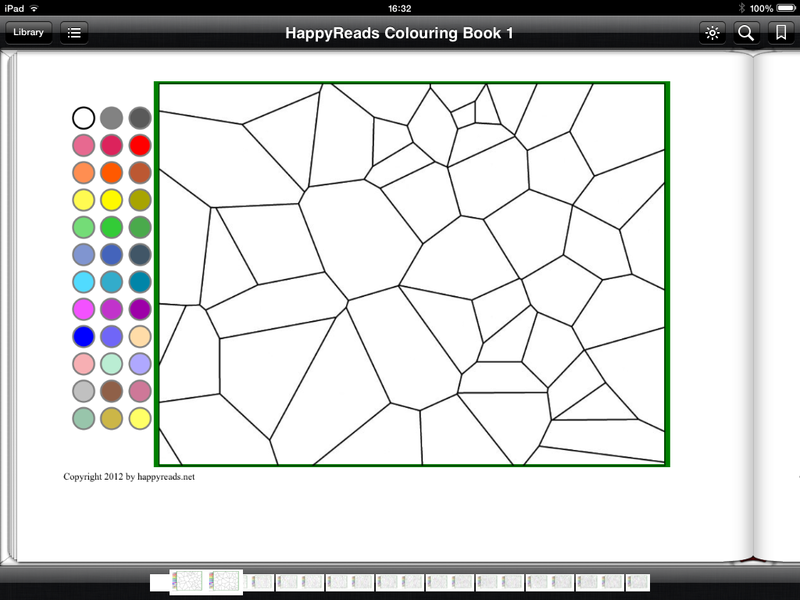 When opened, facing pages form a “V” shape. 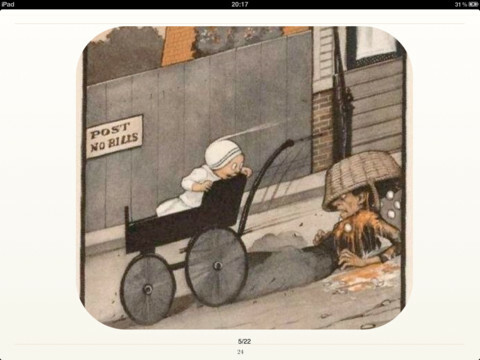 All the pictures on the slanted recto pages show a way-too-precocious infant in a carriage [the “go-cart” of yesteryear] racing downhill who has somehow gotten away from his nanny, gleefully creating havoc all along the way! 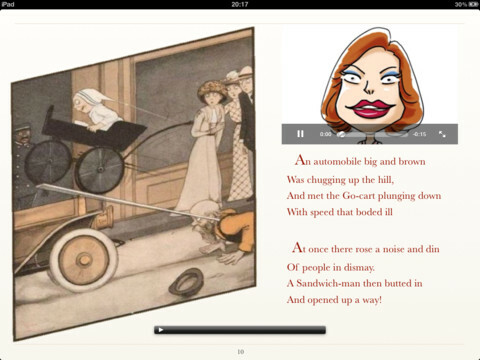 The facing verso pages contain two stanzas of commentary on the charming –if alarming!– illustrations. 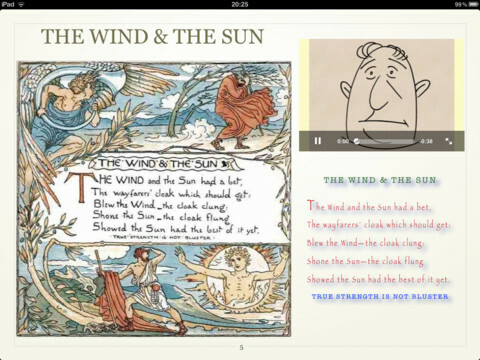 (Summary by Denny Sayers) This is a Multi-Touch edition. 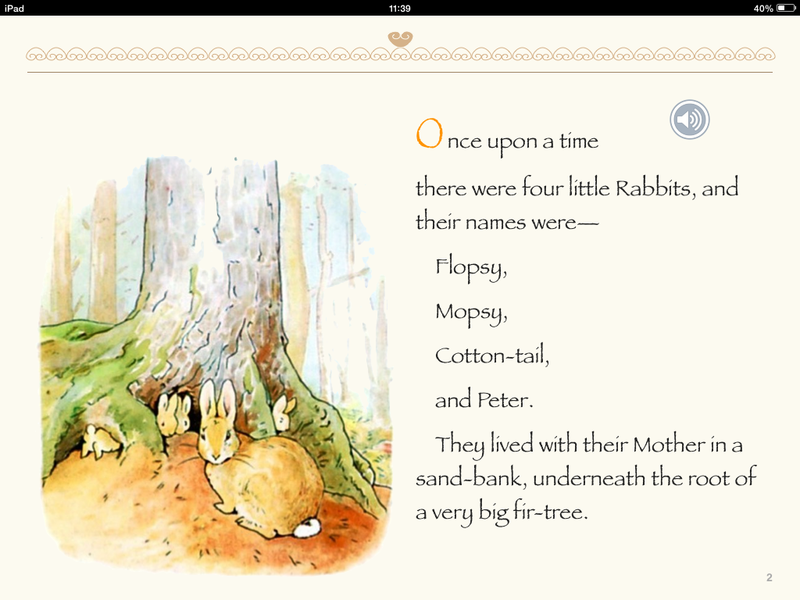 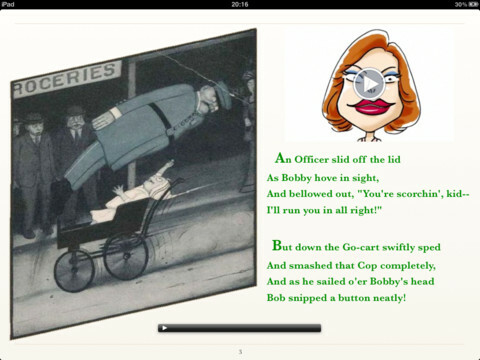 Baby’s Own Aesop – A Beautiful Illustrated Children’s Picture Book; Perfect Bedtime Story. 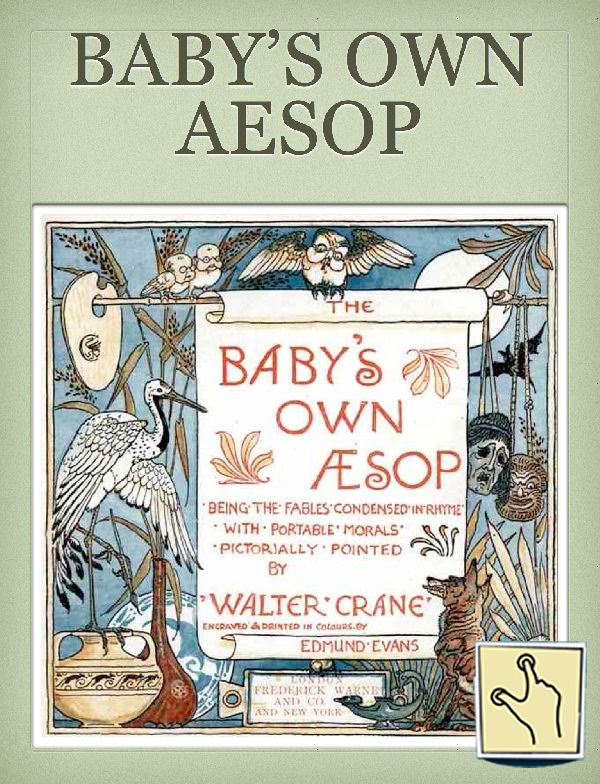 This is a collection of 66 rhyming Aesop’s fables about animals with Portable Morals Pictorially Pointed by WALTER CRANE. 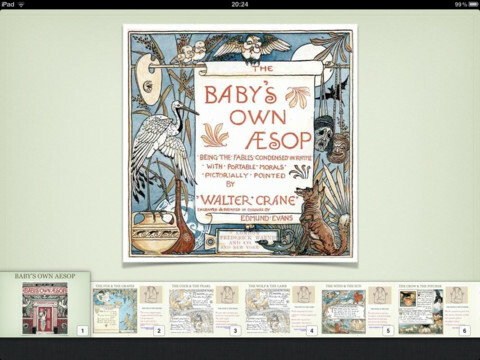 Walter Crane (1845-1915) was one of the earliest contributors to children’s literature and one of the most influential illustrators in the development of children’s color picture books.